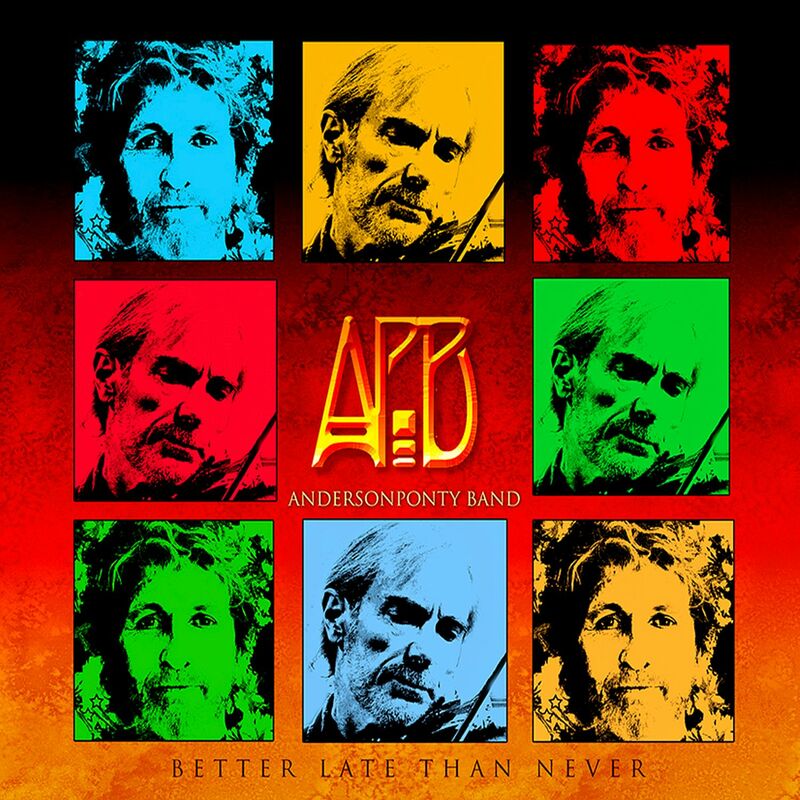 Looks like Jazz Is Dead finally has some competition in the subgenre of “instrumental interpretations of Grateful Dead songs” — sort of. These interludes were created by Neal Casal and friends to accompany the visuals shown during intermission and sometimes pre-concert at the Dead’s five “Fare Thee Well” shows last summer. But unlike JID’s work, these are original compositions written on the fly by four like-minded musicians (guitarist Casal, keyboardist Adam MacDougall, bassist Dan Horne and drummer Mark Levy) during two days of jam sessions in Ventura. 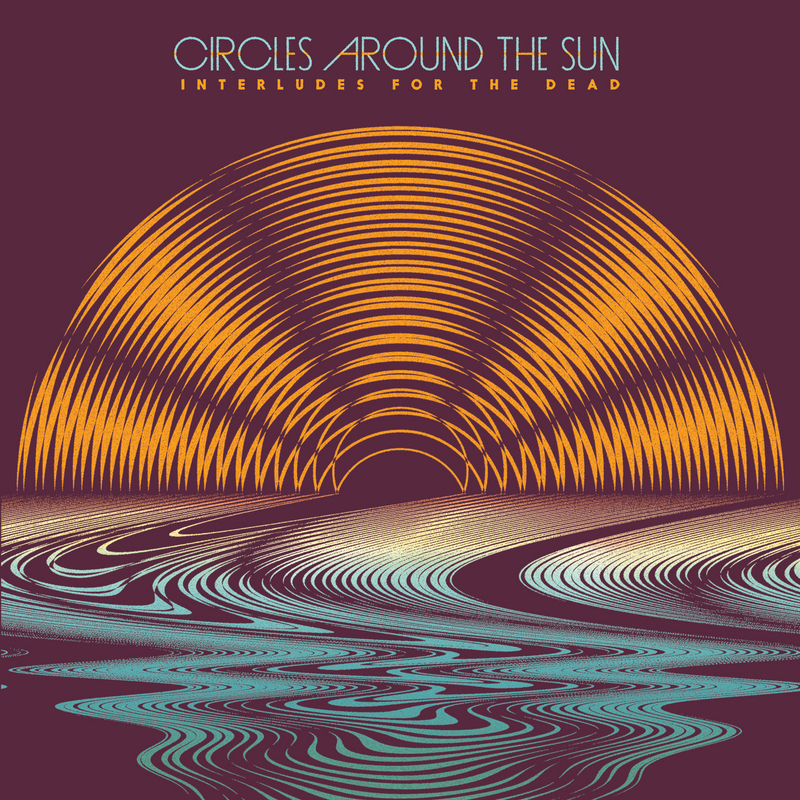 And Circles Around the Sun don’t sound like the Dead so much as embody the spirit of the band. The music unofficially circulated online after tech-savvy fans extracted it from live webcasts. By popular demand, Rhino is giving it a proper vinyl/CD/digital release. Some of the tunes sound vaguely like Jerry Garcia’s side projects with keyboardists Howard Wales and Merl Saunders. Others just sound like, as noted on one Internet forum, “elevator music” — to which someone unabashedly replied that he could use a little Grateful Dead elevator music in his life. Other songs have to be heard before a catalyst can be divined: “Hat and Cane,” for instance, is clearly modeled after “China Cat Sunflower.” More tricky is “Ginger Says,” the title of which comes from a verse included in early performances of “West L.A. Fadeaway” that subsequently vanished. For those wanting more, three discs of interludes are included in the 12-disc “Fare Thee Well” box set, which Rhino says comprises all the set-break music heard during the three nights in Chicago. Exclusive to the two-disc “Interludes,” however, is “Kasey’s Bones,” which a Rhino publicist says was played at one of the two Santa Clara shows. 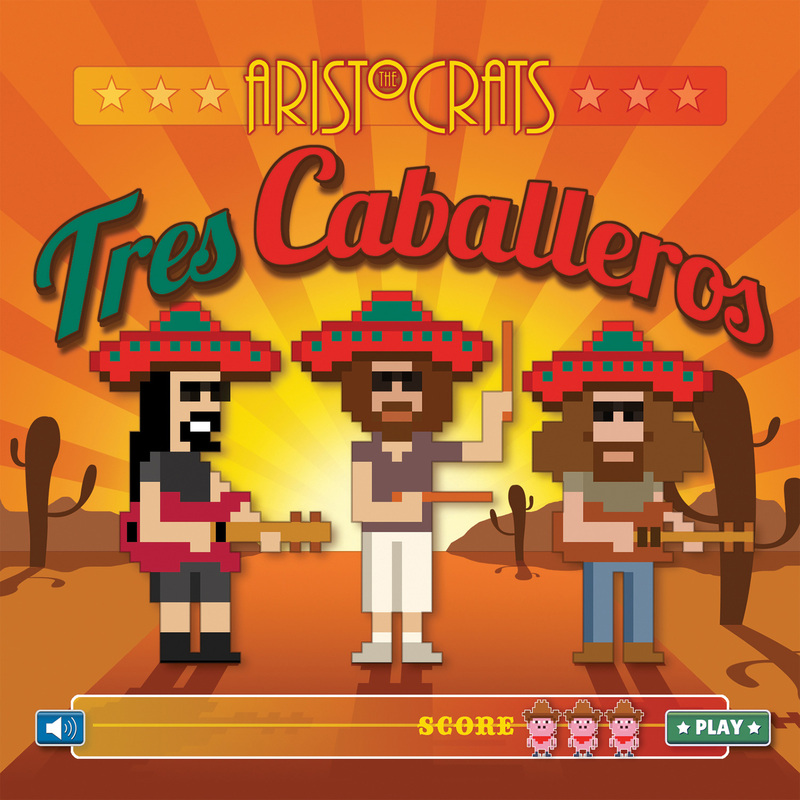 Instrumental rock/fusion trio The Aristocrats take flight on their third studio album, eschewing their modus operandi of “live-in-the-studio with no overdubs” in favor of expansive sonics via texturing and layering, and recording at storied Sunset Sound studios in Hollywood after road-testing their new material. Sidemen and solo artists all, guitarist Guthrie Govan, bassist Bryan Beller and drummer Marco Minnemann became a trio by chance in 2011. The latter two had a trio slot scheduled at the Winter NAMM show in Anaheim, Calif., and their guitarist was a late dropout. Govan was a last-minute replacement whom they met for the first time in rehearsal the night before the show. Far from a typical “all shred, all the time” outfit, the three like to blend genres — as in opening track “Stupid 7,” which mixes metal with a hint of twang. And the song titles aren’t their only outlet for humor, as every number has a certain degree of tongue in cheek, whether in the form of unexpected time changes or the way a player chooses to discreetly (or not so discreetly) accentuate a tune’s underlying vibe. The second track, “Jack’s Back,” takes the concept of hodgepodge to the nth degree: At times atonal, dissonant or both, it structures sections boasting such characteristics in an orderly manner, with Govan interweaving staccato picking à la the “Twilight Zone Theme” with some mandolinlike tremolo. The whole thing is given a tremendous backbeat courtesy Beller’s fluid fretless playing and Minnemann’s impressive Bill Brufordisms. 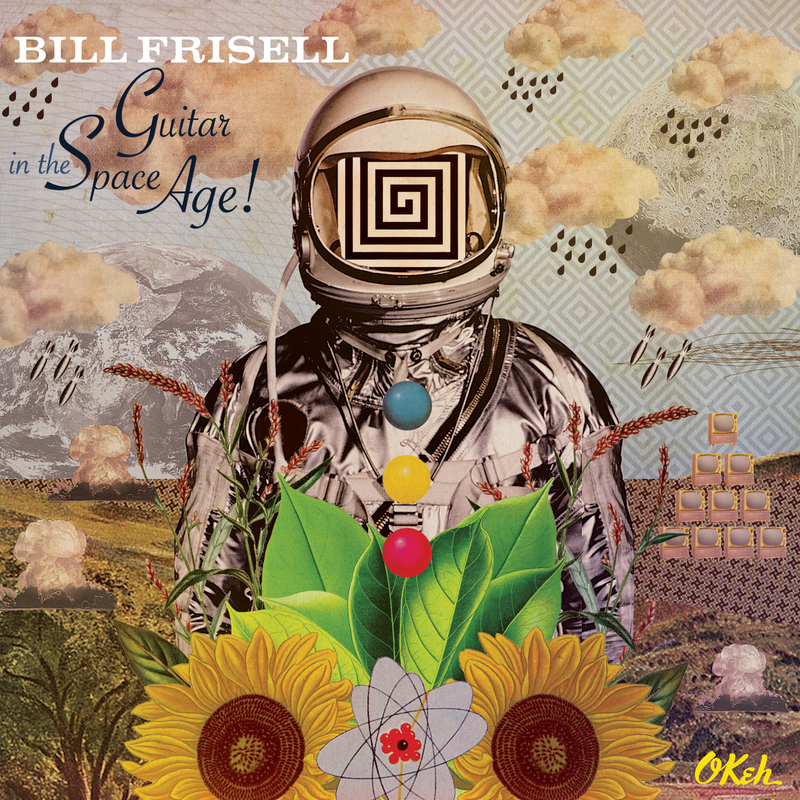 And on and on it goes: the pastiche of SRV-style runs on “Texas Crazypants” that culminates in sound effects painting a visual of a dragster running afoul of the law — immediately preceded by a random reference to the percussion break from the James Gang’s “Funk #49”; the “Eric Johnson meets Allan Holdsworth” feel of “Pig’s Day Off”; the “‘Everybody Knows This Is Nowhere’-era Neil Young and Crazy Horse in Mexico” motif of “Smuggler’s Corridor.” In fact, the album title and cover art foreshadow a Southwestern thread throughout the album, albeit one that is sometimes subtle, other times not. Speaking of subtle, it wouldn’t be unreasonable to assume the song title “Kentucky Meat Shower” is just a random combination of words. But an Internet search for the phrase quickly proves otherwise! A couple of years ago, Phil Alvin’s throat became so swollen after a Blasters show in Spain that he needed an emergency tracheotomy. At the hospital, according to his account in the Blasters Newsletter, an intern “clubbed my heart back from a flatline TWICE.” Ultimately an abscessed tooth was found to be the culprit, and the singer recovered with vocal cords intact. Prior to this, the brothers had recorded their first song together since guitarist/songwriter Dave Alvin left the Blasters for a solo career: a duet called “What’s Up With Your Brother?” on Dave’s 2011 album “Eleven Eleven.” After Phil’s 2012 health scare, they reunited again in 2013 for the soundtrack of a Stephen King/John Mellencamp musical, “The Ghost Brothers of Darkland County.” Then, in November, they started work on an EP of songs by “shared musical square one” Big Bill Broonzy. “Big Bill … was the entrance drug into prewar blues,” Dave told the Los Angeles Times. “That’s the record Phil came home with that was all late-’30s recordings, and that was an eye-opening thing.” Work on the EP went so well that the project was expanded to an album. 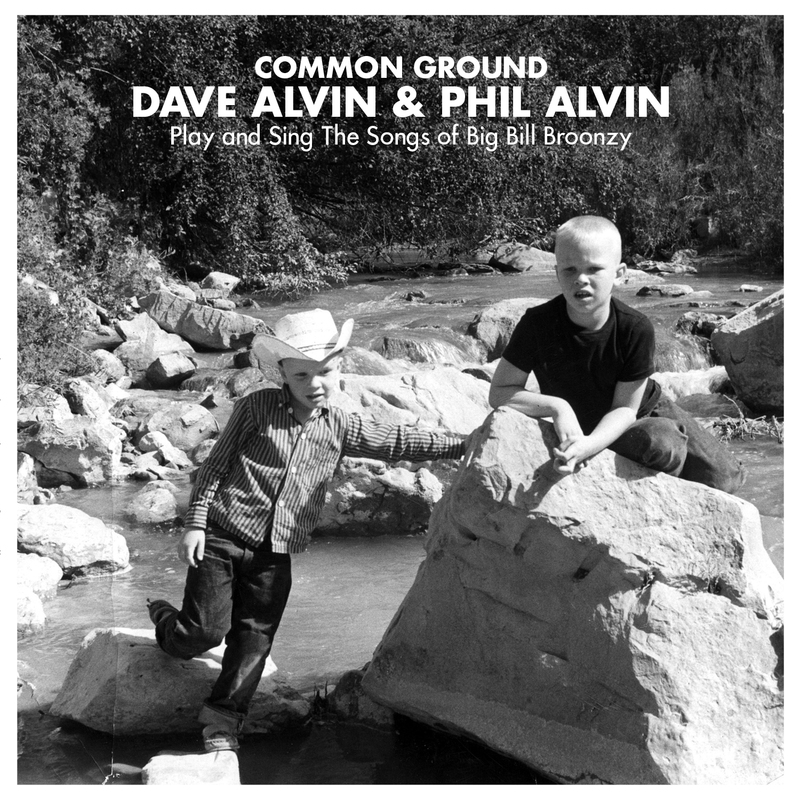 For about half the songs on “Common Ground,” the Alvins are backed by LA session players Bob Glaub on bass and Don Heffington on drums. The other half is Dave’s touring band, the Guilty Ones — bassist Brad Fordham and drummer Lisa Pankratz (sans guitarist Chris Miller) — plus former Blaster Gene Taylor on piano. Phil and Dave share vocal and guitar duties, with Phil also playing harmonica. “Truckin’ Little Woman,” a 1938 boogie-woogie number, is given a West Coast blues treatment to great effect. So are “I Feel So Good” and “Southern Flood Blues,” the latter benefiting from Phil’s authoritative harp playing (he took lessons from Sonny Terry, after all) . An added attraction for audiophiles: stellar engineering by Craig Parker Adams at his Winslow Ct. Studio in Los Angeles (Carlos Guitarlos, the Knitters, Stan Ridgeway, Peter Case, Steve Earl) and Joe Gastwirt’s impeccable mastering.